What does Croatia sailing bestows you? GYC – Yacht Charter Croatia is the premium service for those who are interested in sailing and exploring magical islands of the Adriatic. With more than 4.000 private yachts for rent in our fleet, we are the authority in yachting industry and your first choice for sailing in Croatia. Pick your perfect catamaran, motor yacht, gulet or luxury superyacht, and let the grandeur of beautiful crystal clear seas of Croatia offer ultimate pleasure to your senses. Although our offer do include bareboat renting for clients who possess valid nautical license, we are mainly recognized for crewed and skippered yacht charter in Croatia. This includes chartering a monohull or catamaran with a captain, but it is also possible to hire a hostess, cook and deckhand. How to experience the most from your yachting vacation in Croatia? Our team of professionals will gladly assist you in choosing the right kind of vessel and adapt the offer according to your preferences. We have created many wonderful moments on sailing holidays in Croatia by guaranteeing the best experience to thousands of customers who hail from different countries across the globe. Here stands our uniqueness in yacht rental prices, which is that of the best value for money. Croatia is a one of those sailing destinations that you fall in love instantly, and it's completely understandable. With over thousand islands, crystal clear sea, mild climate, beautiful old stone towns belonging to architectural heritage that lasts for thousands of years, it is top yacht charter and boat rental destination in the whole Mediterranean. It offers an exceptional sailing experience while discovering the amazing Adriatic coastline. Charter a yacht in Croatia, explore countless bays, coves and immaculate beaches on more than 1000 islands and find out why it is the best way to spend your sailing holidays with family or friends. Our Croatia yacht charter trip includes stops at sun kissed beaches of Brač, stunning coves of Mljet and gives first hand access to nightlife, gastronomy and culture. Imagine cruising around islands of Hvar and Vis flanked by your beloved ones, and treating your eyes to the stunning beauty of nature, while your cook is preparing most delicious local gourmet specialties. The experience is beyond expressible in words. Though we operate on a commercial basis as far as private boat rentals are concerned, our company is at the forefront if promoting yachting vacations in this beautiful country. And that’s what luxury yacht charter in Croatia bestows every traveler. To hire a skippered yacht in Croatia became the choice for increasing number of new and returning clients. It is not that hard to understand the reason for this. Regardless of having a proper nautical license and qualification or not, skippering your own yacht while sailing in Croatia consumes lots of energy and is a big responsibility for everyone on board. Therefore, consider hiring a skipper if you don’t want you to deprive yourself of full yacht charter Croatia experience. Skipper/captain will take care of maintaining the boat, guest safety, give good recommendation for restaurants, and plan itinerary according to your preference and weather conditions. This way you can make the most out of your yacht vacation in Croatia. To ensure a comfortable and luxurious yacht trips, our value added services include arranging hostess or professional cook who are well-versed in cooking range of local as well as global cuisines. In addition, hostess will keep the boat’s saloon clean and tidy in order to make your sailing holiday in Croatia most pleasurable one. There is also a possibility to hire a deckhand for truly relaxed yacht vacation. However, all these options are already included in the package when you opt for all-inclusive luxury yacht charter service. A Crewed Yacht Charter delivers the outstanding sailing vacation aboard your own private sailboat or catamaran. Embark on one of our fully Crewed Yacht, and indulge yourself in hedonistic way of life while cruising the mystical waters of the Adriatic. This happens to be perfect blend of adventurous travel and enjoyable cruise. Not only this sailing in Croatia service comes with complete professional crew and gourmet chef, but also offers complete carefree personalized yacht charter Croatia experience. In our Croatian bases we offer Bareboat Charter as ideal choice for people who possess appropriate sailing license and adequate nautical skills. Be the captain of your own boat, and sail Croatia with your family and friends! Monohulls are most common type chartered as bareboat, following by catamaran and motor boats. Major benefit of bareboat charter in Croatia is your own undisturbed privacy at all times and overall reduced cost of sailing. As great addition to crewed boat rentals, we offer our all inclusive package for yacht charter in Croatia. Without need to worry about food supply, fuel and marina fees, This exclusive service blends the comfort of luxury yacht with care free sailing vacation. Croatia is home to some of the world’s most luxurious mega yachts, catamarans, gulets and sailing boats. As nautical tourism is gaining in popularity, the demand for luxury yacht charter has increased significantly over past few years. Large luxurious superyachts have increased not only in number, but in equipment level and size as well. Megayacht charter promises the ultimate yachting vacation, combining cruising crystal clear waters of the Adriatic with luxury and comfort of five-star hotel. These yachts usually have sophisticated build-up design with one or more VIP suites, fitness, sauna, and range of water toys like jet-ski or paddleboards. Top superyachts even have helicopter landing platform for fast connection to the land. Contact us for more information and spend your luxury yacht charter vacation in raising star of high end tourism – Croatia. Last Minute charter: - At globeyahtcharter.com, you can rent a yacht and get the best last minute deals. Check our special offers regularly and save up to 30% on the regular yacht rental prices. You can knock at our door at the last minute as we have the best yachts for rent in Croatia. 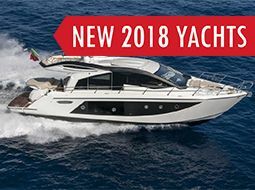 Early booking Discounts: - Take advantage of our early booking discounts, and you can save money on luxury yachts for rent. We have fantastic selection of exclusive discount packages on catamarans, motor yachts, sailing boats, or gulets. 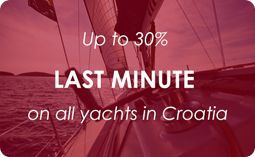 As a leading yacht charter Croatia provider, our discounts are applicable to all vessels without exception. 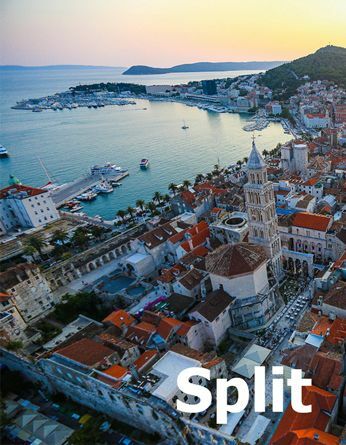 One-way form Split to Dubrovnik: In addition to these, we offer one way Split to Dubrovnik and vice-versa for private yacht charters. This very popular service can also be organized for skippered or crewed charters under certain conditions. Takeover your yacht in Split and sail to Dubrovnik, stopping by Vis, Hvar, Korčul, Mljet or even Lastovo. If you interested in one-way trip, please do contact us with your detailed request, and we will make tailor-made offer to suit your preferences. 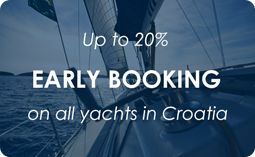 If you are limited by time, the range of services that comes along with yacht charter Croatia is unique and is much worth the extra cost. Choose sailing area according to your preferences. Four main regions are to be considered when renting a yacht in Croatia. 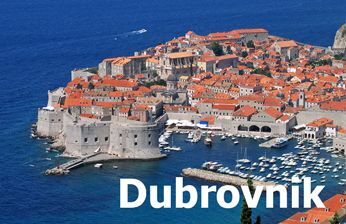 Explore Southern Croatia with medieval Dubrovnik or Korčula towns and islands like Mljet and Lastovo. Split sailing area is the most popular place for Croatia yacht charter, with 11 bases to start your sailing holidays from. 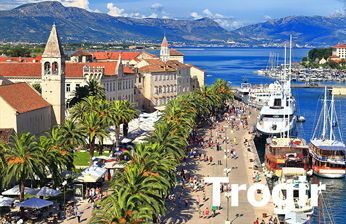 Also known as southern Dalmatia, this area is home to most popular islands like Hvar, Brač and Vis as well as historical town of Trogir. Northern Dalmatia is ideal sailing spot if you like nature and privacy. Rent a yacht from Zadar and sail to Kornati islands, visit Telascica Nature Park or anchor next to famous Sakarun beach on Dugi Otok. 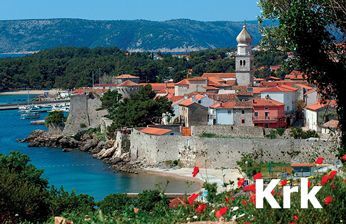 For those who enjoy less crowded spots, Istria and Kvarner Gulf region are the perfect choice with Brijuni Islands National Park and Rab island to visit. Croatia is one of the most beautiful European and Mediterranean sailing destinations. With 31.479 km2 of coastal waters for cruising, swimming and diving, this country will captivate your imagination and adventurous spirit. It is home to 11 national parks, thousands of islands, friendly people and hospitable fisherman towns and villages. Croatia also has stunning 5,835km of coastline, of which most belongs to 1,185 islands, cliffs and reefs. 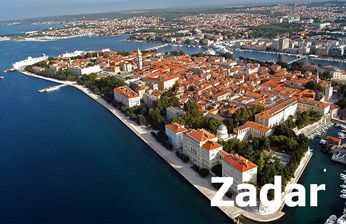 The capital of Croatia is Zagreb and largest island is Krk. Globe Yacht Charter in Croatia: With largest fleet of catamarans, monohulls, motor yachts and gulets, Croatia is our main private yacht charter destination. Diverse range of models and manufacturers guarantee top choice of yachts for rent to customers of all profiles. Our bases are strategically positioned to cover specific sailing areas, with convenient proximity of international airports like Split, Zadar, Dubrovnik, Rijeka and Pula. Charter a yacht in Croatia with Globe Yacht Charter and we will help plan your route, choose the right boat, select best skipper and help with any other advice. Contact us for more information. Croatia is privileged to have the longest hours of sunshine in a year which is supposed to be 2715 hours. Explore it on a charter sailboat. The world-famous Nikola Tesla was born in the Croatian village of Smiljan. According to UNESCO, Croatia is home to most of historical heritage goods amongst all European countries. Croatia is known to be an animal friendly country with the last species of Mediterranean seal lives in Croatian seas. Indeed, for this reason so as to witness Croatian seals, tourists flock to this country and take Croatia sailing charter to explore these magnificent seas. According to Alfred Hitchcock, in the seaside town of Zadar the best sunset in the world can be witnessed. Croatia was once the home to world’s largest Neanderthal community. Probably you would be surprised to come across the facts mentioned above. Spare no time in exploring the beautiful Croatian seas through yacht charter. Rent a modern Croatia sailing charter and rejoice in the beauty of nature. The coast of Croatia has a typical Mediterranean climate of dry, hot weather with plenty of sun at summer, and relatively mild winters. Those who are interested in Croatia yacht charter will be happy to know that average summer temperatures should lie in the high 20s °C/77-86°F, although July and August are more likely to see temperatures well into the 30 °C/80s °F. Most common wind in summer is pleasant Mistral that blows from the west, reaching its peak force in early afternoon. Sometimes it can reach higher speeds, but it is comforting for sailors to know it will definitely stop at sunset. Other common air movement of the Adriatic are north-easterly cold and gusty wind Bora, while Jugo blows worm and moist air from south-east. Best way to move around Croatia is by bus and ferry. Intercity bus network is well developed and connect the main destinations in Croatia. Almost every town and village in Croatia has bus station quite close to the city center. Public ferries and catamarans operated by Jadrolinija (jadrolinija.hr) company, connect the mainland with most of inhabited islands. Alternatively, there are couple of smaller privately owned companies like Krilo (krilo.hr) that operates catamaran line to a popular island and coastal destinations with shorter travel times than ferries. Other modes of transportation are rental cars, private transfer and trains. How to book a yacht in Croatia? Booking a yacht or catamaran in Croatia is very simple. First, with a help from our agents you have to choose your perfect yacht and optional extras like skipper, hostess, packages, water toys etc. When confirmed we are sending charter contract for signing, after which payment is doe. And that's it! Yacht is booked. Do you charge boat reservations? No, boat reservations are completely free for couple of days. This will give you enough time to decide whether to charter particular yacht. How to choose a suitable yacht? Choosing a suitable yacht to book in Croatia is not complicated. We just need to know your preferences of yacht type, equipment, age and charter period. Our experienced staff will immediately send targeted offer with many interesting options to choose from. For most yachts, it is required to leave security deposit. This is amount used to cover eventual damages caused by guests. If no damage occurs on the yacht, entire security deposit is returned to guests. Think of Croatia. Think of yacht sailing. Croatia has become the most preferred hotspot for sailing holidays in the recent decades, and hence yacht rentals are fair and reasonable. Perhaps, there are some operators who fleece exorbitant sum for vacationers opting for Croatia sailing charter. In reality, it isn’t the case if you are dealing with reputable company like ours. We at globeyatchcharter.com believe in fair and transparent method of pricing private yacht charters with solely purpose to benefit our customers. For this reason, the cost of private yacht charter is comparatively affordable over other countries. We travel extra mile to ensure that newest and most sophisticated of charter sailboats are accessible at a good price. To answer the question of how much is to rent a yacht in Croatia – please contact us via chat, phone or email. Globe Yacht Charter employs only the best in the yachting industry, and don't make lesser compromises in order to ensure each yacht is always maintained and in top condition. Our team of technicians is in charge of the systematic quality control and keeping the fleet in perfect condition. If you wish to book a boat or a yacht, you can now do it quickly along with the services as per your budget and requirements. Listed yachts are presented by their name, model and exact features. Check yacht availability, find the best price using variety of discounts applicable and enjoy! There is one word that our clients regulary use to describe their yacht charter Croatia - UNFORGETTABLE. So, spend unforgettable yacht charter in Croatia with GlobeYachtCharter. We are looking forward to see you in Croatia!